Natural loofah sponges soaked in soap; soap up and exfoliate at the same time. 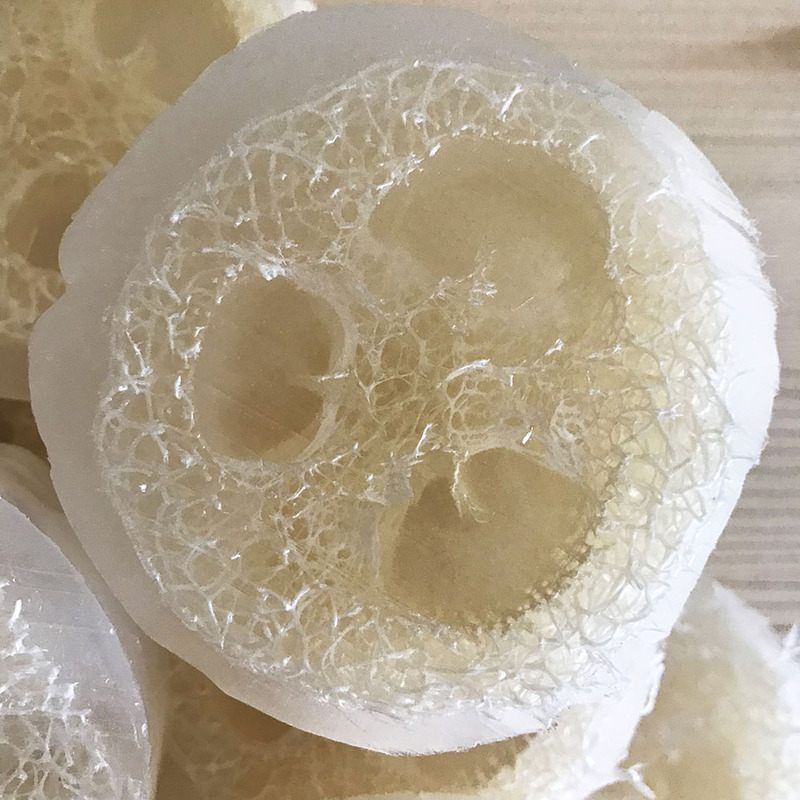 Loofah is a plant that when left to dry produces a natural sponge. Use for exfoliating dead skin & to stimulate blood circulation. Handmade soap contains glycerin which hydrates the skin while bathing. Commercially-produced soaps are commonly processed to extract the glycerin. Soap without glycerin is harsh and drying. 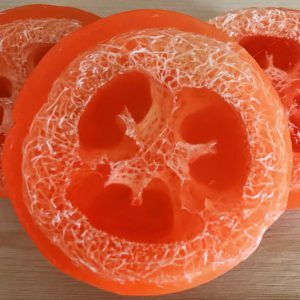 Our handmade soap is made with skin-loving olive oil, rice bran oil, shea butter, & cocoa butter; store-bought soap often contains irritating chemicals. Plus, when you buy handmade soap you can feel good about your purchase, because you’re supporting a local business. Because our soaps are a handmade product, color, aroma, and design may vary slightly with each small batch we make. They’re also hand cut, so actual weight and size may vary slightly.